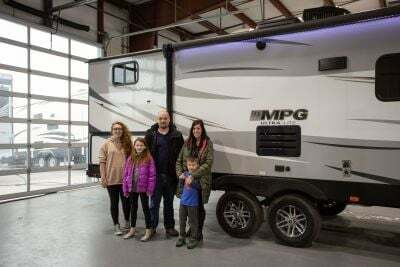 Go off on an adventure with the 2020 Cruiser MPG 2800QB! At Lakeshore RV Center, we offer the nation's lowest prices on Cruiser RVs and all other Travel Trailer RVs! 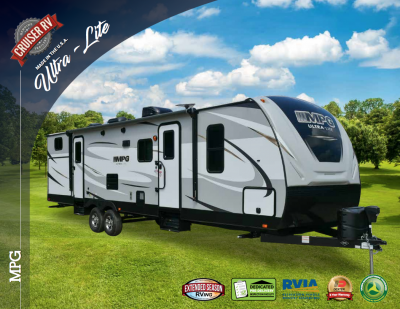 Come down to 4500 E Apple Ave Muskegon Michigan 49442 to see why we're the #1 Michigan RV Dealer! If you have any questions, call us at 231-788-2040 to talk to one of our RV experts today! This Cruiser MPG 2800QB is built for comfort as well as style! You'll be warm inside on the coldest days with the 30000 BTU furnace and pleasantly cool on the hottest summer days thanks to the 13500 BTU air conditioner! There's room to stretch out, because this Travel Trailer is 11' 3" tall, 33' 4" long, and 8' 0" wide. Ample headroom too, with its height of 11' 3"! It's hard to get a good night's rest when you're on the road. 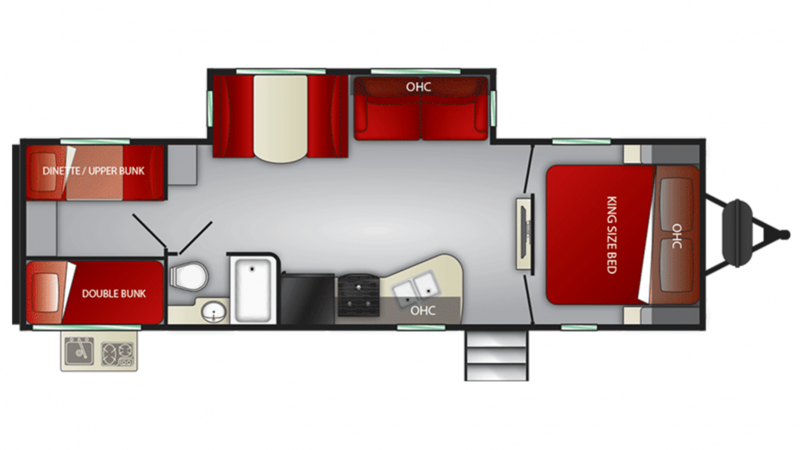 That's why this RV has an extra comfy King bed in the master bedroom, so you can sleep like royalty at night! A family of up to 11 can sleep well in this RV! Camping and road trips take a lot out of any family, so thankfully there are 4 beds inside this Travel Trailer! The Bunkbeds inside the bunkhouse provide somewhere for guests and little ones to sleep comfortably! There is an outdoor kitchen where you can whip up tasty treats and grab cold drinks without the hassle of going in and out of the trailer!